Last year I spent time converting my ‘teaching life’ to the cloud. My aim was to increase my ability to access class information and improve the way(s) that I record what goes on in the room. I posted throughout the year – my observations, frustrations and outcomes. Many other teachers are expressing an interest in cloud based organizing so I thought I’d group all of my posts together for those looking at this option. 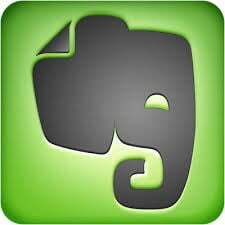 I must point out that I don’t use Evernote with my students as yet – my district requires parental permission for that and I’m not ready to ‘require’ it and deal with all of the issues that may arise. My Year With Evernote Experiment Take-Aways… – what I learned – and why I still use it! If you need any further information or have any ideas to share please let me know and I’ll share what I can! Adding Detail In Writing…Learning to Accessorize to Add Flare! Top Posts of 2017 and What They Tell Me…. Catherine Ousselin – Thinking About Syncing? This work by Colleen Lee is licensed under a Creative Commons Attribution-NonCommercial 4.0 International License. Based on a work at leesensei.edublogs.org.